Taking a risk by going on an adventure and exploring a new environment is an essential part of understanding the natural world we live in. But sometimes accidents occur. Usually completely unaware, humans put themselves at risk of being attacked or even worse—being eaten. But how do you ascertain what is a potential threat and what is not? This fantastic rough guide to the nature you do not want to come face-to-face with (without an experienced leader of course) aims to provide you with some inside knowledge. The United States’s huge size and vast biodiversity, make it one of a few countries that are megadiverse. Harboring more than 91,000 insect, 500 reptile and amphibian, 750 bird, and 400 mammal species, it is no surprise that the third largest country on the planet is the site of some less than pleasant human-animal encounters. Let’s take a look at some of the toughest specimens the United States’s animal kingdom has to offer. By both population and landmass, Texas is the second largest state in the US. It is because of this immense size of 261,797 square miles and wide-ranging terrain that this particular territory has grown an infamous reputation as the toughest, wildest, and most dangerous of all 50 states—whether that’s because of cowboys or rattlesnakes remains uncertain. With a range of different climate types, from the sub-tropical swamps of the east to the desert-like conditions of the west. It is easy to understand how Texas has become such a challenge when it comes to regional classification, and why its population of potentially dangerous creatures it so vast. One of the most feared creatures of Texas is the rattlesnake. In particular the Western Diamondback whose bark is definitely as bad as its bite. The snake’s advanced venom delivery system allows it to control the amount of venom discharged. Once the prey has been killed venom also plays a role in its digestion. This western outlaw is definitely one to run rather than just hide from. Boasting the longest coastline in the continental United States, stretching approximately 2,276 miles, Florida is home to one of the most famous national parks in the world—the Everglades. Florida’s omnipresence of water has given the state its lifeblood as well as its greatest foe. In the past decade southern Florida in particular has sadly become a feral orphanage for exotic pets such as the African rock and Burmese pythons. It is a native reptile, with over a million populace, that intimidates its human counterparts the most. Notorious for its 75-toothed bone-breaking bites, this incredible creature has remained virtually unchanged in appearance for over 200 million years. Attacks on humans are rare, perhaps because alligators do not associate humans with food. Due to increased contact with people, however, they are becoming habituated and this may lead to increased conflict. With increased human encroachment on the natural environment, the southeastern United States will have to keep on their toes. Known for its desert climate, with lush pine forests and mountain ranges, Arizona’s abundance of venomous creatures places it high on the list of the US’ deadliest states. However few of the species who call this state home have venom strong enough to be life threatening to humans. One exception is the Black Widow spider—so called because the female has a reputation for eating the male after mating—in fact this is rare in nature. Like the alligators of Florida, they are rarely aggressive unless provoked or mishandled. The venom is classed as neuro-toxic because it affects the nervous system and can cause respiratory distress and chest pains. Bites are particularly dangerous in children due to their small size and to pregnant women who can be induced to go into premature labor. 4. Alaska: Bear or moose? As the largest state in the US with a land area over twice the size of Texas, Alaska has more than three million lakes and some 28,000 square miles of glacial ice cover. The perfect habitat for an animal that by tradition, takes first place as most feared—the bear. It’s not just the top predators humans should fear, but in some cases their prey, too. The moose, a favored prey of the bear, poses a big threat to humans. 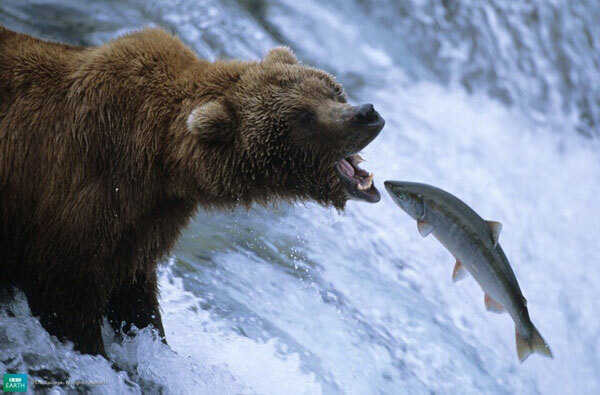 With males weighing in at around 1,600 pounds, these heavyweights (although not aggressive unless provoked or startled), injure more people every year in Alaska than bears do. Due to their vast population, moose-human interactions are frequent. 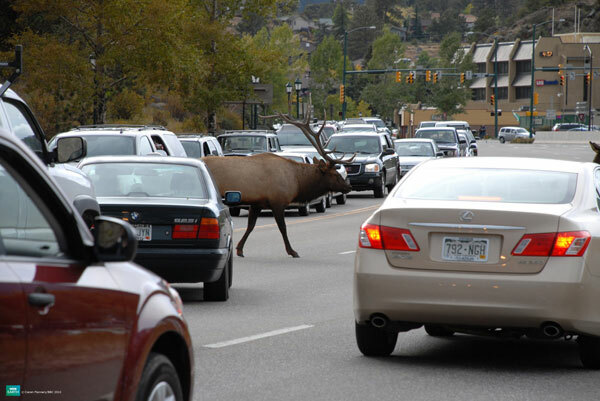 Increased urbanized areas with high-speed carriageways mean that vehicle-moose collisions are the now the most frequent cause of moose-related injury. They most commonly bluff charge as opposed to actually charging. But in general, it’s better not to wait around to check if it was a mock one or not—retreat behind something solid. This has always been an incredibly prosperous region for agriculture, and since the famous gold rush of the 1800’s, it’s been known as the Golden State, so called for its financial prosperity. California is by far the most populous state in the US with over 12 percent of the population living there. But the idyllic region is not without its problems. Located within the Pacific Ring of Fire, California is subjected to a phenomenal amount of earthquakes, with the south of the state averaging 10,000 per year. This causes some freak meteorological effects, including tsunamis. Still, California contains more forestland than any other continental state and can lay claim to having some of the tallest, largest and oldest trees in the world—making it a perfect habitat for the mountain lion, one of the oldest predators in the country. Once used to roaming almost the whole of the United States, today these remarkably adaptable cats are still found across most of California. Also known as cougar, panther, or puma, these large solitary predators still have the biggest range of any large terrestrial mammal in the western hemisphere. Although incredibly shy and preferably remaining out of sight, recent reports have shown an increase in the number of human encounters with mountain lions. This is due to an increase in the large-cat population and because more and more humans are encroaching on their territory. If you do come face-to-face with a cougar, give it room to get away. It would rather avoid you than confront you—and surely the feeling is mutual.